Aerosol medications administered through MDIs (metered dose inhalers) are extensively used in the promotion of a healthy cardiovascular system. This effective delivery method enable the administration of potent drugs without the need for systemic corticosteroids. 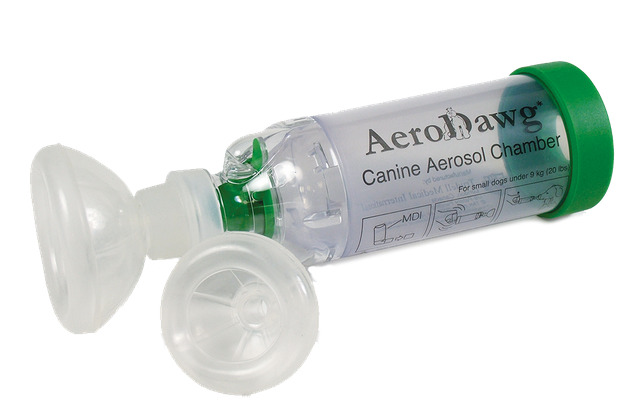 Inhaled corticosteroid medications delivered using AeroDawg's CAC are highly effective. 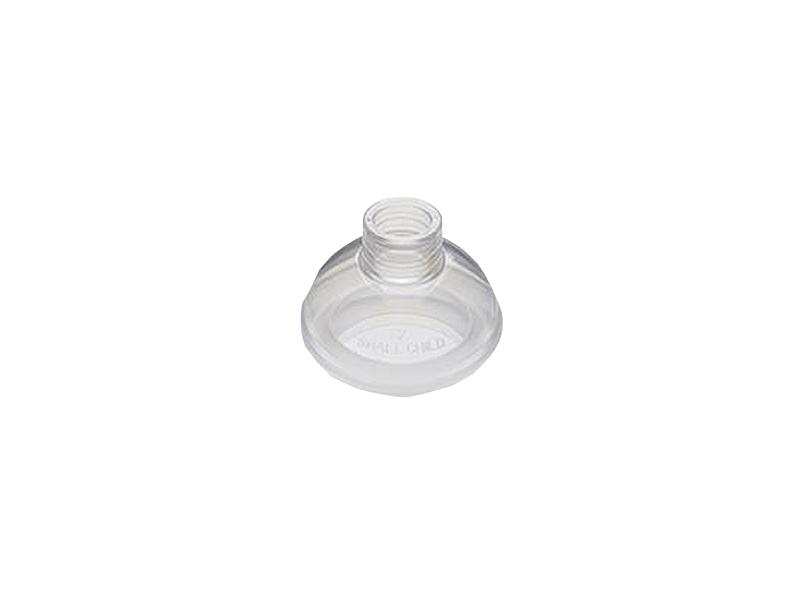 The aerosol method enables the easy administration of medication from the chamber deep into the lungs whilst also providing a therapeutic quantity and greatly reducing the risk of side-effect or stress. Note this product is the chamber to be held up to the patients nose. It does not include any medication, which has to be purchased separately with a prescription. Please note, once the product packaging has been opened or tampered with we are unable to accept returns of this product. Below are some recent questions we've received regarding AeroDawg Canine Aerosol Inhalation Chamber, including answers from our team. Hello,I got a dog pug,that I may need to use AeeoDawg.If I understand correctly I need the Large dogs 10kg+inhaler ? My dog weights 10 kg 500gr. Yes you should get the large dog size.